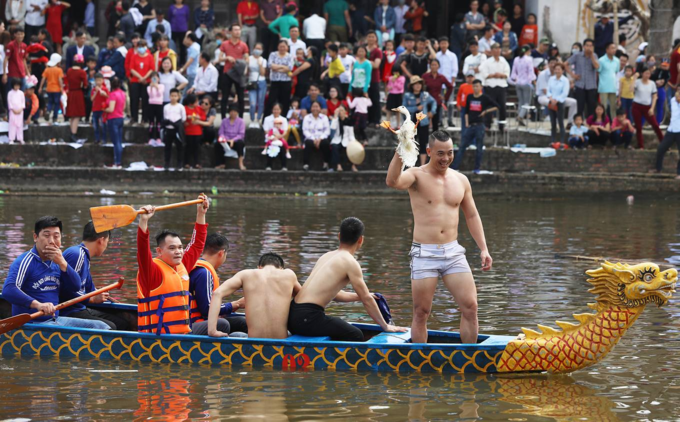 A unique boat race in northern Vietnam has 60 rowers competing to cook rice and catch a duck. 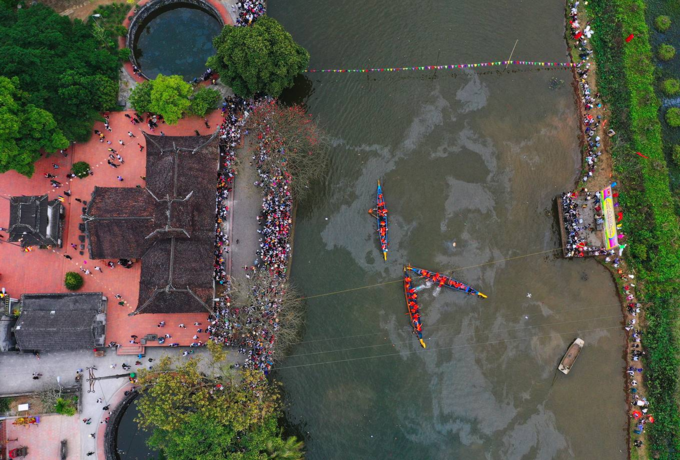 The Bach Hao Temple Festival is held on the 5th and 6th day of the first lunar month every year in Thanh Xa Commune, Thanh Ha District, Hai Duong Province, 60km east of Hanoi. The main ceremony starts on the morning of the 6th day of the Lunar New Year, with competitors from five villages arriving at the venue with five trays of offerings and grave markers of three village tutelary gods, who are three generals of the Tran Dynasty (1225-1400) that served the legendary commander Tran Hung Dao. 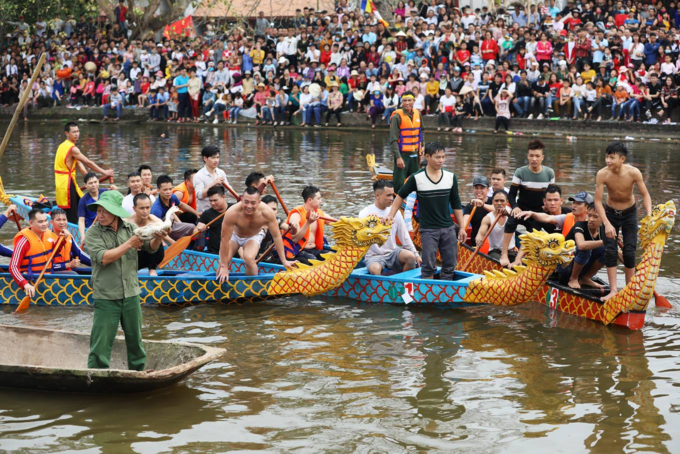 This festival involves many folk games, the most striking of which is a boat race that involves rice being cooked even as the boats are rowed. 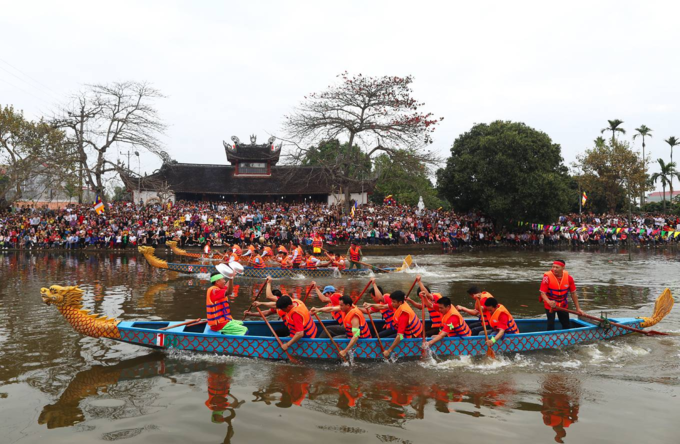 The boat race is held to commemorate the day King Tran Nhan Tong, the third emperor of the Tran Dynasty, visited Hai Duong Province to pray at the Bach Hoa Temple. Male and female teams take turns to compete in the morning and afternoon. 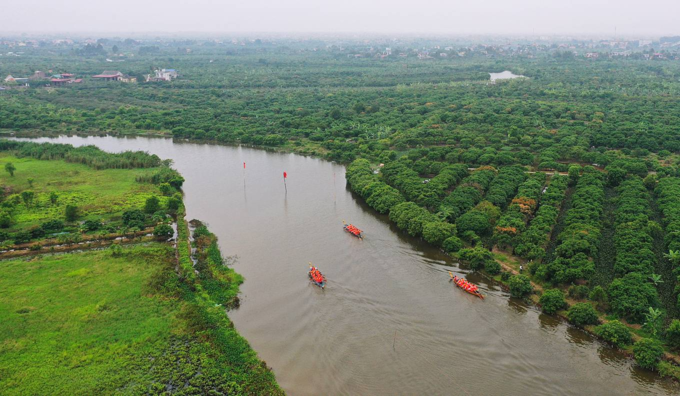 Five boats from five villages will race on Cua Chua River. The race is more than one km long and the goal is to select the three fastest teams. The fastest team among these three will join the next game. 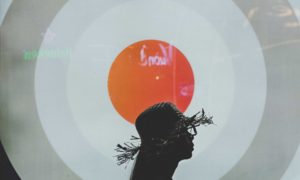 "The game originated from the cooking of rice during wartime to feed the army. There was no dike back in the days, we were surrounded by water. Ducks were raised as the boats traveled along the river. Whenever food was needed, soldiers jumped off the boat and caught them. 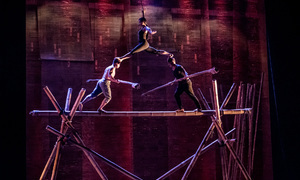 The games are like military training exercises," said Pham Quoc Trong, who chairs the festival's organizing committee and is also chairman of the Thanh Xa Commune people's committee. There is no age limit for the athletes in this unique boat race, all they have to be is healthy. 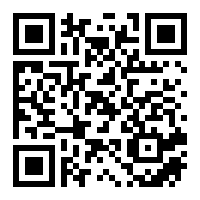 The number of contestants on each racing boat is between 12 -14 people - 10-12 rowers and a captain. 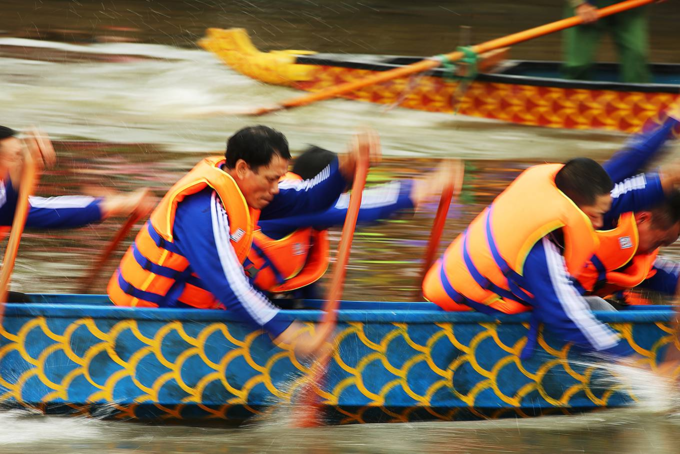 In the past, the racing boats were not made of wood but thin slices of bamboo. Since 1985, the locality has invested in making wooden boats to ensure safety. Cooking rice on boat is the most exciting part of the competition. 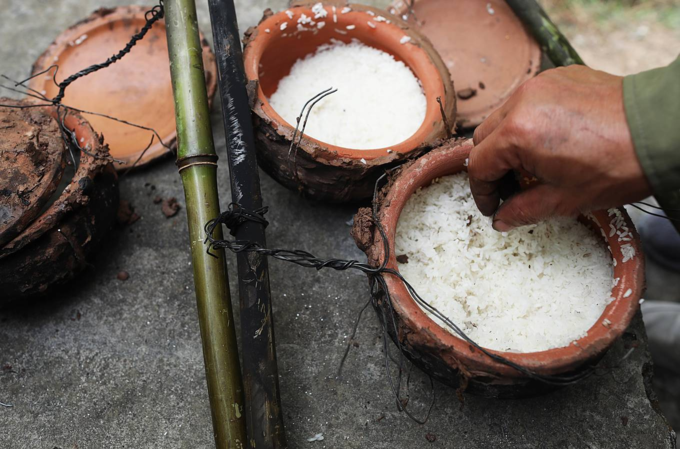 An earthen pot is filled with rice and water, tied to the end of a stick, and cooked on a wood fire while the boat is being rowed. 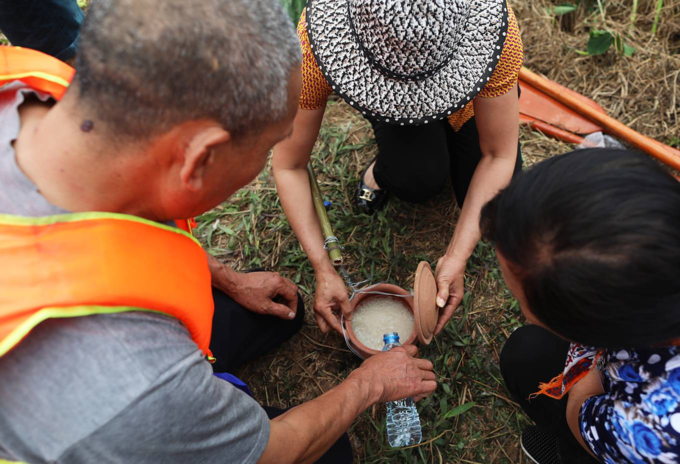 As some of the crew members cook the rice, others continue rowing to the sound of drums and cheers of festival goers on both sides of the river. 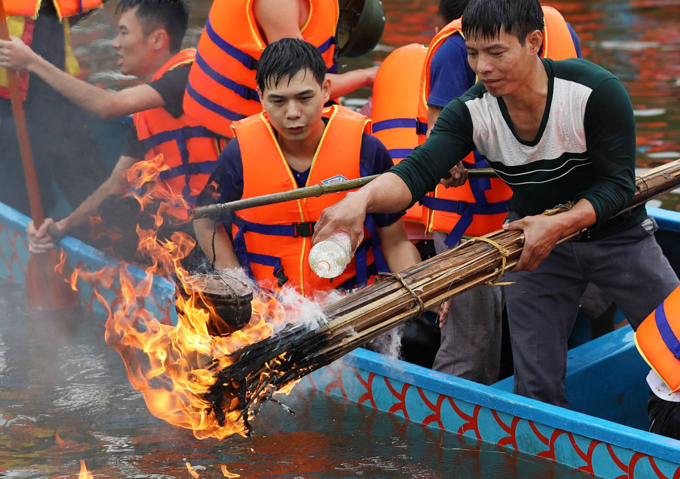 Teams can splash water on competitors to try and douse the fire being used to cook rice on those boats. 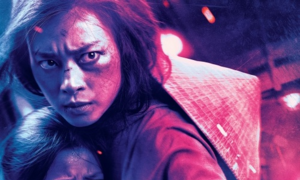 The boat that manages to cook the rice with the fire remaining lit until the end wins. Fire and water at play as a fight breaks out between two boats. In addition to forming a shield to protect their fire, teams use bamboo and kerosene to keep the fire going as the rice gets cooked. 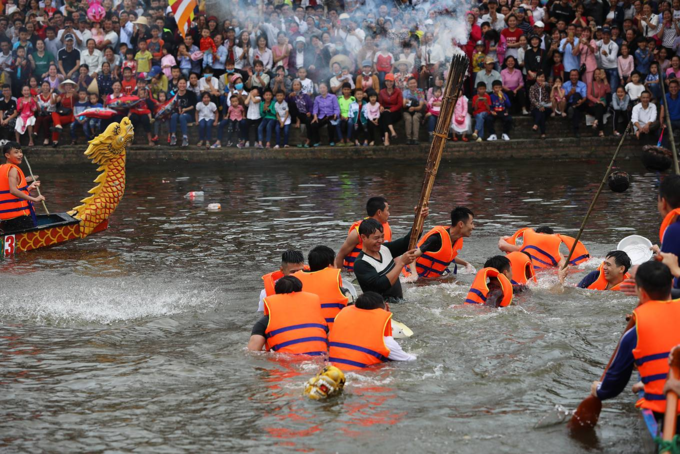 Three teams continuously splash water on each another, and in the ensuing commotion, a boat capsizes in the river. Most of the rice delivered to the judges was undercooked. 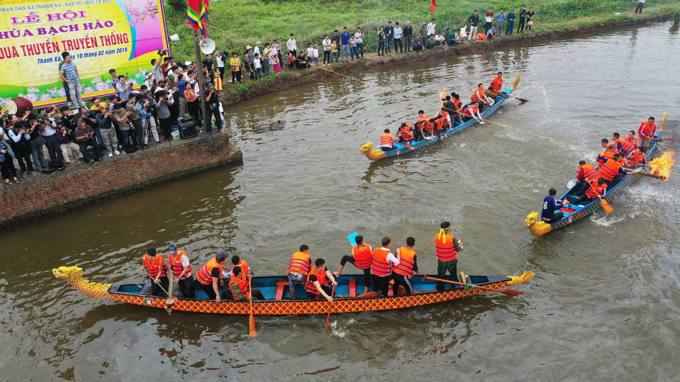 In the next contest, a duck is released in the middle of the river, and teams chase it on their boats. The team that catches the duck first wins, of course. 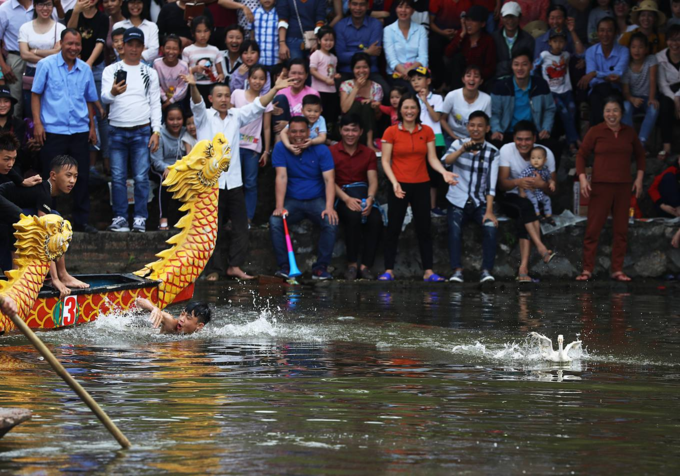 As the duck swims frantically in the river, contestants jump off their boats and give chase to the unfortunate fowl. 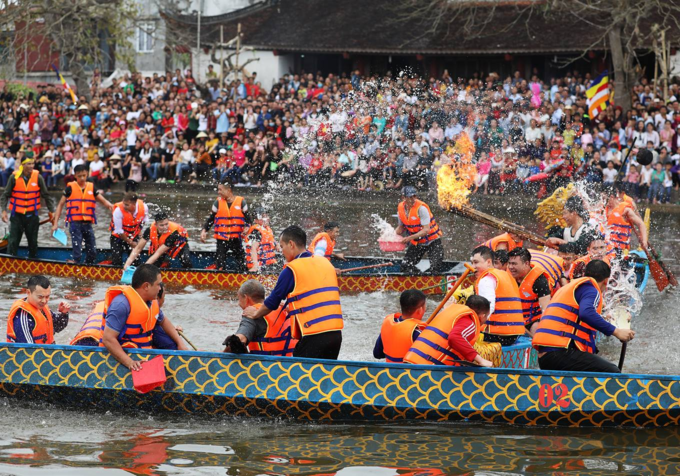 The teams make "water explosions" to prevent competitors from catching the duck. This year, the duck was caught after 36 athletes chased it for more than 20 minutes. 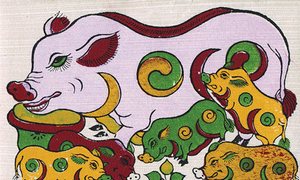 The Bach Hao Temple is believed to have been built in 1011, a Year of the Pig, during the reign of King Ly Thai To, according to steles found there. In addition to the main deity, the Buddha, the temple also pays obeisance to three Tran Dynasty generals: Nguyen Danh Quang, Nguyen Danh Nguyen and Ly Dinh Khue, who served Tran Hung Dao. These three generals used their military acumen to repel the enemy, liberate the land, and establish villages. 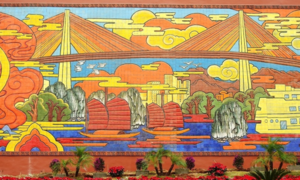 They are also said to have taught the people of Thanh Xa Commune to grow silkworms, weave fabric, produce food and row boats. The temple was recognized as a national historical monument in 1993. 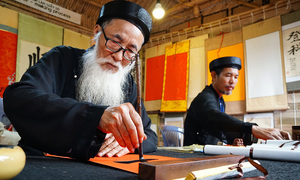 The Bach Hao Temple Festival was also recognized as a National Intangible Cultural Heritage in 2015.